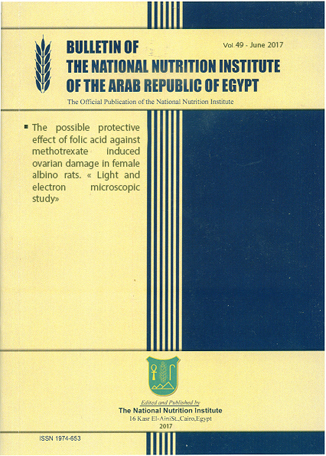 1Department of Nutrition and Food Sciences, Faculty of Home Economics, Menoufia University, Shibin El- Kom, Egypt. 2Department of Dermatology & Venerology, Faculty of Medicine, Tanta University, Tanta, Egypt. Medical nutrition therapy was as a potential treatment for acne because it play very important role in control on condition. The objective of this study was to identify the role of diet on pathogenesis and enhancement of acne cases. The study included30 patients with mean age (12-24 y) with two degrees of acne (mild and sever) .they were divided into three groups every group included 10 patients (5 males and 5 females) The first group treated by drug, second group treated by experimental diet and third group treated by both of drug and experimental diet .The study began in the period from April 2015 to December 2016. Our results showed that correlation coefficient food intake with biochemical analysis in the studied groups .There relationship between deficiency vitamins with deficiency GSH and increased androgens hormones .also, there was correlated between deficiency zinc, calcium, magnesium and vitamins with increased cholesterol, triglycerides, and androgen hormones .also, there was high significant correlation positive between deficiency ca, mg zinc intake with decrease GST. Conclusion, macronutrients (carbohydrates, proteins, fiber and fats) and micronutrients (vitamins and minerals essential from a nutritional point of view) preserve the skin from worsening acne and improve its appearance.